Betsy and I recently closed a real estate transaction together. Betsy represented the Buyer and I represented the Seller. Betsy was concise, timely and professional throughout. Her negotiating skills are second to none. She is fair but direct. I would highly recommend Betsy Speckman for all your real estate needs. She was a pleasure to work with. Betsy is great to work with. She is very professional and knowledgeable. Great Realtor to work a transaction with. Betsy was on our “A” Team in the relocation department and was our favorite West side realtor. She has contagious smile and energy and her ability to deal with a variety of parameters made her absolutely priceless. We love Betsy Speckman!! Betsy’s success as a Realtor is attributable to her focused commitment to providing the very best in professional real estate services. Her knowledge of the markets she serves and her ability to understand and address the needs of her customers has resulted in – and will continue to result in –many successful transactions. I am a commercial real estate broker who, on occasion, must refer residential real estate leads to an expert in that field. I am always confident when referring a client to Betsy. She is reliable, thorough, punctual and professional. Betsy is knowledgeable in her field and always stays up to date with changes in her market and the overall industry. Betsy does a great job. She was very helpful in ways for us to stage our home for sale. She held a great Open House. Took great pictures and made a nice booklet for people viewing the house. I would hire her again for any of my realtor needs. Thank you! come full circle. So let me assure you – Betsy’s ’circle’ is where you want to be. THANKS BETSY! 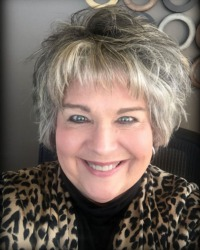 Betsy Speckman is a phenomenal realtor, she is extremely knowledgeable of every aspect of buying or selling a house she knows the location and history on a lot of areas she is dedicated from the beginning to the end, when you work with her you feel you have more than just a realtor on your side you have an extraordinary friend. Betsy was great, personable and always easy to reach. “How else can we say it...we were impressed! Betsy Speckman was the perfect professional. Her knowledge of the local real estate market was outstanding as was her understanding of what we desired in our new home. She had to deal with a less than ideal Seller’s agent, all the time maintaining her professionalism and seeing the purchase through to the end. Betsy will definitely be the one that we call for our future real estate needs. We think Betsy really went above and beyond the call of her duties! We could not have been more well taken care of if we had been close family. Betsy is a credit to her profession. We were blessed to have found her. recommended and will continue to recommend her to others. I had a quick relocation with my company PepsiCo and had to start my job immediately. My Realtor, Betsy Speckman, took care of everything back in Indiana for me, and went above and beyond in customer service. Her use of marketing tools was outstanding. She was simply awesome and sets the bar in “best practices” in her service. staff was always polite and very helpful. It was a great experience!